Everything about Quest Access W is focused on making your skiing experience easier. From a liner that makes it easier to step into the boot, to an oversized pivot that makes skiing easier, to a host of fit features that make it easier to use and more comfortable for all women. Have a great day, everyday. Women's Specific - A liner with a specific height and cuff adapted to women's legs and calves. Anatomic cuff with lower rear support for calves for better fit and comfort. My CustomFit Comfort - Thermoformable tongue for better tibial comfort. Backbone - Magnesium piece linking the upper cuff to the lower shell providing back support for better rebound coming out of the turn (rebound effect) & enabling a progressive but powerful forward flex. Salomon patented system combining the backbone release with a specific V-cut shape on the back of the lower shell. 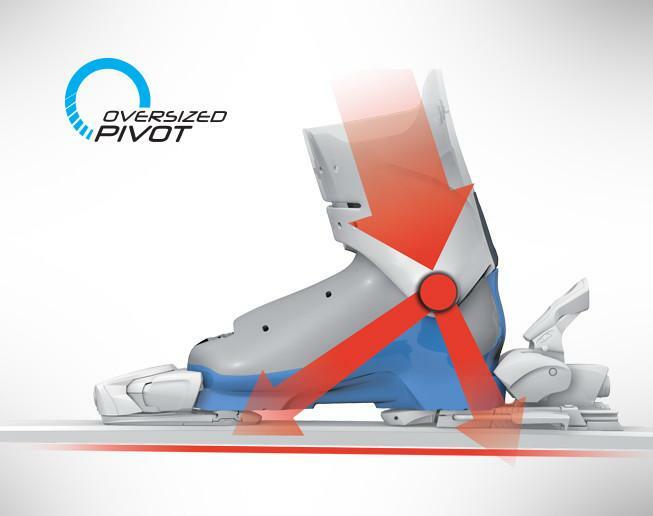 Allows wide rear cuff opening when hiking (Backbone unlocked) & true Alpine forward flex when skiing down (Backbone locked) because the backside of the backbone fits precisely into the V-cut lower shell.